Scooby-Doo! 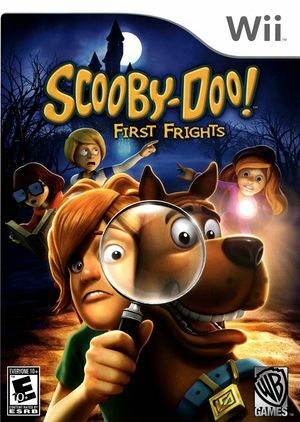 First Frights is for fans of all ages. You will be able to explore spooky environments as Scooby, Shaggy or any of the super-cool teen Mystery, Inc. team. The action-adventure game features co-op play allowing two members of Mystery, Inc. to work together to solve puzzles, combat enemies, and collect clues before unmasking each episode’s mysterious villain - all while gaining prestige as world famous sleuths! Once you have solved the mystery, you can return to completed levels in Explore mode with any unlocked character, costumed character or villain to access new areas. With ghosts and ghouls around every corner, high school has never sounded so fun! The graph below charts the compatibility with Scooby-Doo! First Frights since Dolphin's 2.0 release, listing revisions only where a compatibility change occurred. This page was last edited on 16 January 2018, at 03:43.